These days due to urbanization, pollution is on the rise. And this has led to severe complications related to skin and hair. Hair fall, split ends, dry hair, skin infections, wrinkles, ageing skin, dark circles are the major complications related to hair and skin. These are faced by people all across the globe irrespective of age, gender and place. And people are highly worried and concerned about it. To provide respite to these concerns and worries of individuals, Planet Ayurveda has provided one of its best herbal formulations, which has a lot of advantages and health benefits. Radiant skin hair nail formula is the Ayurvedic product, which is 100 percent pure, vegetarian, natural and safe to use. This formulation is used to maintain healthy hair and nails. It strengthens brittle and dry nails effectively. It also helps to enhance the beauty of the women from the cellular level. With the progress of age, the levels of collagen and keratin decrease considerably. This affects the individual to a huge extent. In order to maintain that, the herbal product, radiant skin hair nail formula is the best choice. This provides nourishment to the skin, hair and nails and provides firmness and elasticity as well. Several disorders, which can be treated with radiant skin hair nail formula, are given below. This herbal formulation has anti ageing, blood purifying, immune modifier properties. The ingredients of this herbal supplement are the following. It is also known as Manjishtha. It helps to get rid of all the three doshas- Vata, Pitta and Kapha effectively. It has astringent properties and is bitter in taste. It helps to heal the scars and the burns. It can cure other disorders as well like acne, gastro intestinal disorders and several others. It is known as Pit Papda. It has a cleansing impact on the body. It has antispasmodic, diaphoretic, diuretic, antiarrhythmic, antimicrobial, antiscorbutick, antioxidating, antiinflammatory and laxative characteristics. 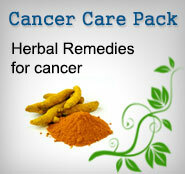 It helps to treat the skin infections, cancer, tumors and for purifying blood. It is used to treat fever, stomach ailments, indigestion, nausea, therapeutic, digestive, hepatic and tonic characteristics. It helps to treat diabetes, gastritis and nausea. It regulates the level of sugar in the blood. It contains vitamins, minerals like chromium, manganese, iron, copper, magnesium, salicylic acid, sterols, lignins and amino acids. It helps to prevent dehydration, skin related complications. It also helps in the treatment of HIV effectively. The Radiant skin hair nail capsules should be taken 1-2 capsules two times or three times daily depending on the severity of the conditions. All these ingredients together form the herbal supplement, which helps to treat the various physical complications effectively. This Ayurvedic formulation provided by Planet Ayurveda is one of the best supplements. 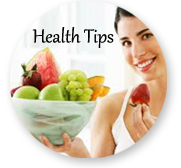 It helps to get rid of premature ageing and maintain ageless beauty to a huge extent. If you want to maintain your skin and scalp in good condition, the radiant skin hair nail capsules are highly recommended.